Maharashtra’s mangrove cover has grown by as much as 37% or 82 sq km since the last national survey in 2015. Of that, more than half (47 sq km) has been added in the Mumbai suburbs, Thane and Navi Mumbai alone. Mangrove cover in the state grew to 304 sq km in 2017 from 222 sq km in 2015, says the State of Forest Report 2017 released on 12 feb by the Forest Survey of India. Thane, including Navi Mumbai, has seen the highest increase within Maharashtra at 31 sq km, followed by Raigad (29 sq km) and Mumbai (16 sq km). 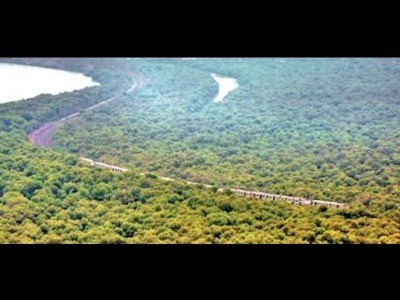 Maharashtra’s 82 sq km rise in mangrove cover is the highest growth for a state in India in the last two years. Across India, mangrove cover has increased by 181 sq km since 2015 and now stands at 4,921 sq km. After Maharashtra, Andhra Pradesh has seen a growth of 37 sq km, Gujarat 33 sq km, Odisha 12 sq km and West Bengal 8 sq km. In all, Maharashtra now has 5% of the total mangrove cover across India and has climbed to 5th position in all-India rankings. The report attributes the growth in the state to plantation and regeneration of mangroves.